As I write this, spring seems a distant possibility, but I have hope it will arrive! We're here to help you recharge and refresh this semester, whether it be by attending a meditation session, taking a quick spin on a bike, or checking out a best seller for some leisure reading over break. 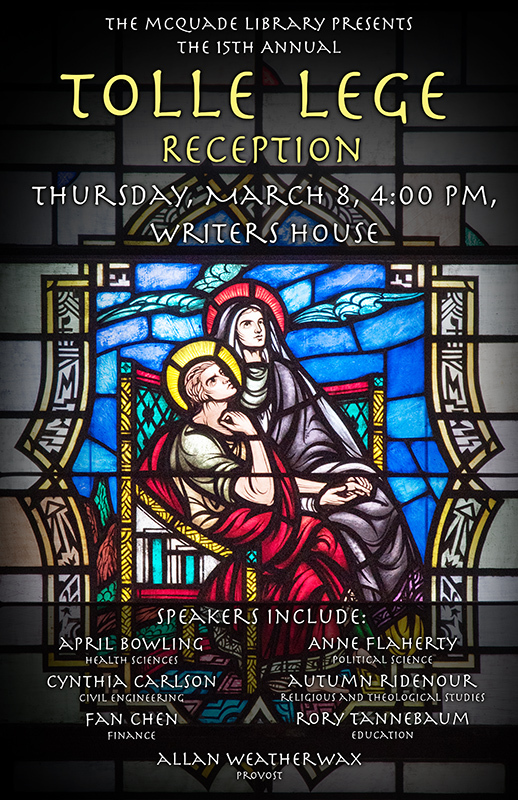 Our twice rescheduled Tolle Lege Reception, honoring this year's crop of contributors to the collection of published scholarship and creativity, will be held on Thursday, April 26, at 4pm in the Writers House. Hope to see you there! Keep reading to learn more about new and ongoing people, programs, and resources available to you here at McQuade Library, the Hub of Merrimack. When classes have you stressed and your work is piling up, retreat to the new McQuade Meditation Room, located on the lower level of the McQuade Library, for some peaceful refection. 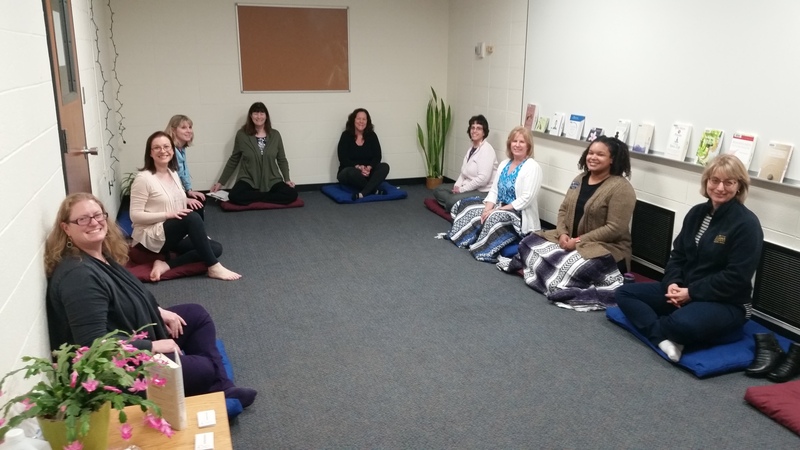 Whether you want to participate in a meditation class (Tuesdays at 4) or an empowered breathing class (Thursdays at 11), or would just like to do your own thing, the McQuade Meditation Room is the place to get your zen on! With beautiful meditation pillows, yoga mats, and blankets, coupled with serene lighting, reading materials, and glorious live plants, the McQuade Meditation Room will have you saying, "NamaSTAY right here!" Love is in the Air at McQuade! 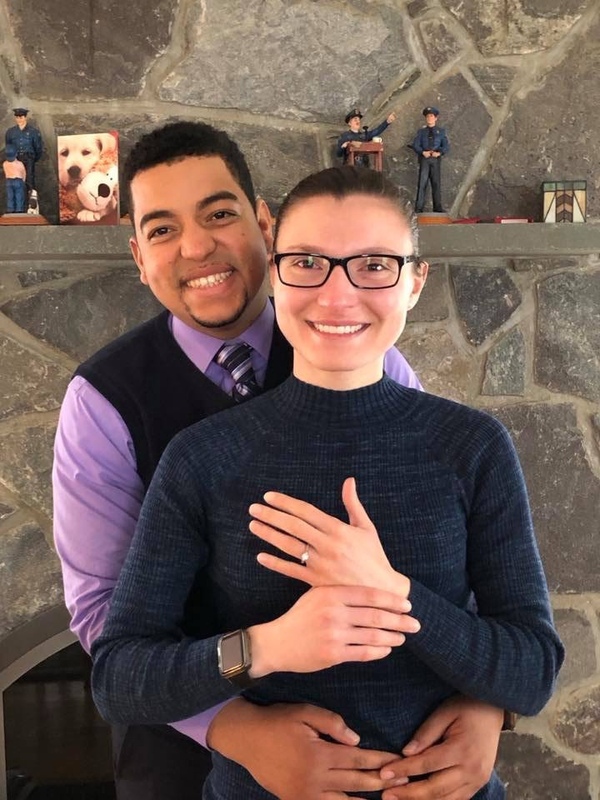 Former Access Services student worker, Anderson Sanchez, and current Library Assistant, Ashley Cook, have just announced their engagement to wed! Everyone at McQuade couldn't be more excited for the happy couple, who met four years ago at the Help Desk for their first 8-midnight shift! Congratulations Anderson and Ashley! "The librarians are expert at these presentations and easy to work with. They tailor the information to the assignment, which is so helpful. Thanks!" "I could not be as successful in my teaching effectiveness without your work." "My students used an array of peer-reviewed literature to support their ideas." "Students were able to get the resources they needed in particular areas. They became more adept at navigating the databases. The research seemed to go much better for them." Learn more about McQuade's successful instruction program here. Check out our Hot Titles on the first floor by the fireplace and on the 2nd floor. 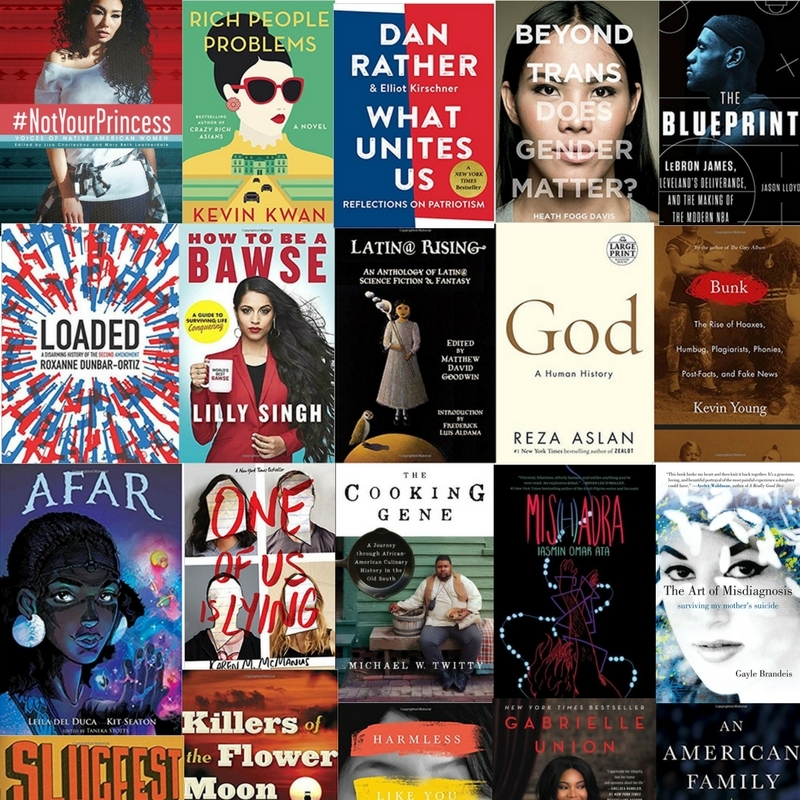 We have a diverse collection of voices, stories, and genres to offer! Whether you are interested in graphic novels, politics, philosophy, health, history, fiction, or biographies, we have a book for you. So take a break from your work and get lost in one of our Hot Titles! Students will be led through varying Pranayam practice (specialized breathing sequences and techniques). Using the breath as a focus can be a very simple way to calm the body and mind as well as connect the two. I teach various breathing practices designed to stimulate the parasympathetic system, countering the overstimulation our bodies and mind go through when in times of stress. Using the breath in this way allows energy to flow and move around the entire body. The effect can be energizing, relaxing and healing. Students may like to bring a notebook and pen to record any experiences that may arise in class. Classes are 60 minutes. Drop-ins Welcome, registration requested by emailing C.J. Wong, wongc@merrimack.edu or phoning 978-837-5350. 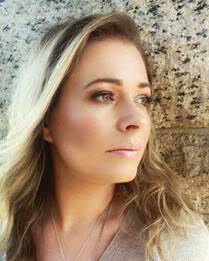 Danielle is skilled and trained to coach/teach Breathwork styles and principles. Danielle is a professional Life Coach, Certified Yoga Instructor and Breathwork Facilitator. Submit Your Research to Merrimack ScholarWorks! The McQuade Library’s digital archive -- Merrimack ScholarWorks-- is a system for collecting, distributing, managing, publishing, and preserving digital (electronic) information created by Merrimack College faculty, students, and staff. Who can contribute content? Any college, department, center, or other unit of the College can participate as a community in the Merrimack ScholarWorks. Why should I contribute research/scholarship/creative work to Merrimack ScholarWorks? Merrimack ScholarWorks provides increased visibility and impact for your work, allowing barrier-free discovery by tools such as Google Scholar. The repository also provides long-term, stable preservation of your content, and gives you more control over access to your own work. By depositing your work, you help to demonstrate the scientific, social, and economic value of Merrimack College to the local community and to scholars and researchers worldwide. Contact Librarian Michaela Keating if you have questions. We are pleased to welcome Gabrielle (Gabby) Womack to our McQuade Library team as our new Access Services/Reference Associate! Gabby graduated from Suffolk University with a Bachelor's Degree in History. She received her Master's degree in Library and Information Science, and a Master's degree in History from Simmons College. 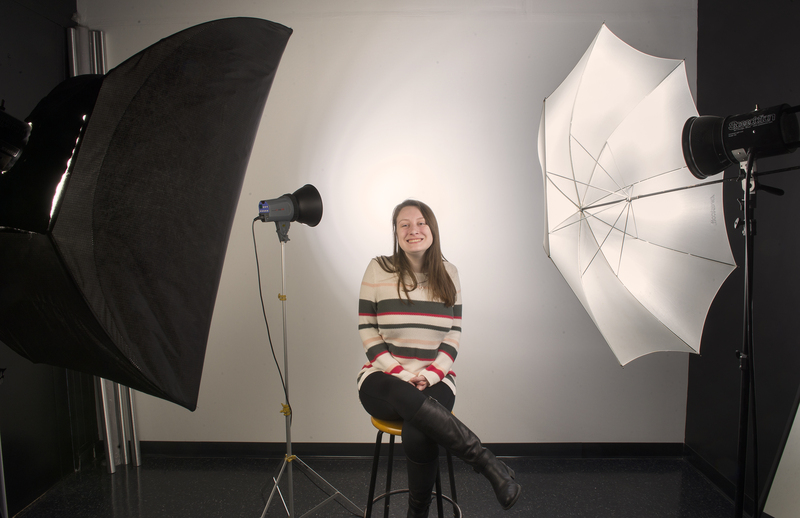 Gabby will be splitting her time between the access services and reference/instruction departments. She will be staffing the Research Center on Monday, Wednesday, and Friday mornings. 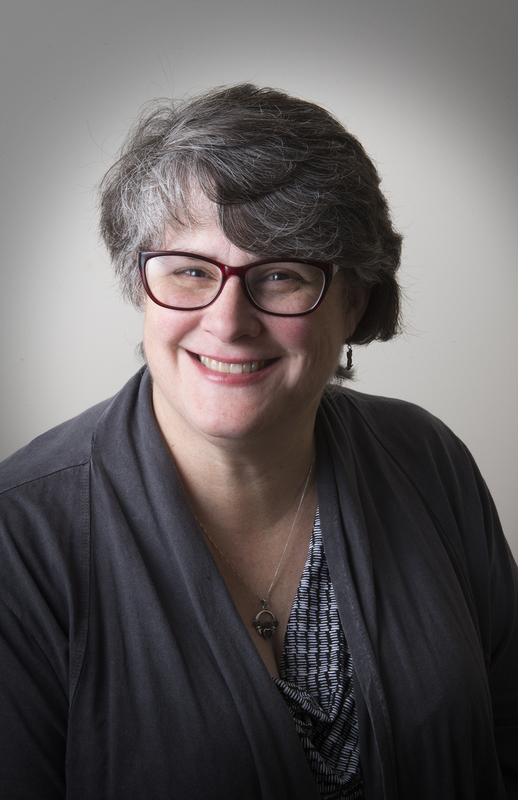 She will also create research guides, facilitate library workshops, order interlibrary loans, and coordinate the library's ipad lending program. Gabby's office is on the 1st floor behind the Help Desk; please stop by to meet Gabby! Market research books online with market data from key sources from demographics and sports to healthcare and tourism. Historical newspapers and magazines in French, Arabic, Spanish and English, on all topics for all disciplines, 1691-1877. Trials: We are accessing needs for streaming videos and have trials to Alexander Street Video Online (AVON) and Ambrose Videos BBC Shakespeare Plays in comparison with options through Films on Demand and Kanopy Streaming. Send questions and feedback on course needs to Frances Nilsson, Mc@Quade's Head of Resource Management. Capital IQ provides financial data, analytics, and research on companies, markets, and people worldwide with tools for analysis, idea generation, and workflow management. Available on Mucci Capital Markets Lab workstations (Crowe) and McQuade workstations outside the Research Center (2nd floor). Ask a Librarian for help. Morningstar Direct is a professional software for screening and analyzing mutual funds. It also includes data for publicly-traded U.S. companies. For information on accessing Morningstar Direct, login to MyMack, choose Resources (top) and then McQuade Library Password. Search a public or private company, create a list or compare companies with quick links to Quick links a wide range of sources including mergers & acquisitions, legal and intellectual property, SEC Filings, news and more. Now part of Nexis Uni, the replacement of LexisNexisAcademic. Online 2017-2020 book compilations of statistics, rankings and consumer behavior data on topics such as Sports Marketing, Consumer Behavior, business-to-business, healthcare, entertainment, retail, leisure and tourism markets. Older Sports Marketing books can be found in SportDISCUS. Alexander Street's AVOn database of streaming videos include 62,000+ titles, spanning a wide range of subject areas, and includes more than 17,000+ titles exclusive to Alexander Street, including Counseling & Therapy collections. Classic productions of Shakespeare's plays King Lear and Measure for Measure performed and recorded between with 1978-1985. The site includes closed captions and transcripts. Available through June 2019. Are you having sleep difficulty? Do you find your mind is racing? Do you have difficulty concentrating in class or on your assignments? Are you looking to enhance and improve your well-being? Participants will learn mindfulness and meditation to help calm and focus the mind. Commitment to attend all 4 groups is recommended. Pre-registration is required by emailing howlandj@merrimack.edu or phoning 978-837-5441. Location: McQuade Library Meditation Room Lower Level Room. McQuade Library is offering plants for residence halls and offices while supplies last. Students and staff may stop by the Research Center to "check out" a plant. There is no expectation that plants are returned, but plant parents are welcome to drop their plant back at the Research Center during extended breaks or summer vacation. 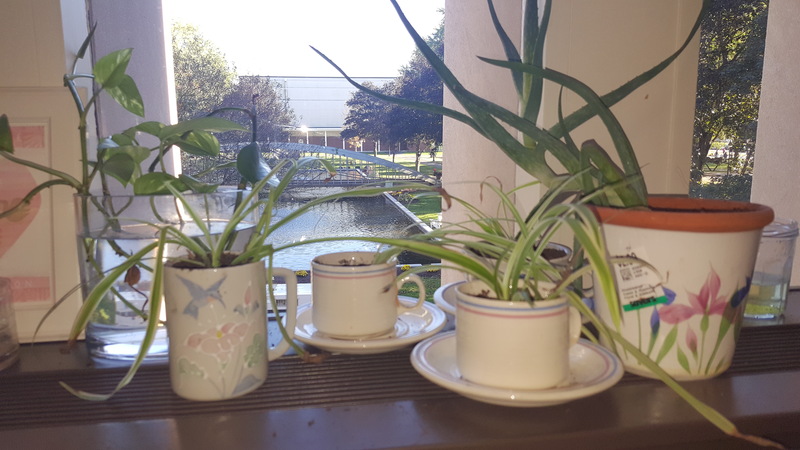 The plants are offspring or cuttings from current Research Center residents and were potted in recycled mugs. Getting Crafty in the ERC! Scissors! Markers! Construction Paper! Glue! Pipe Cleaners! Colored Masking Tape! 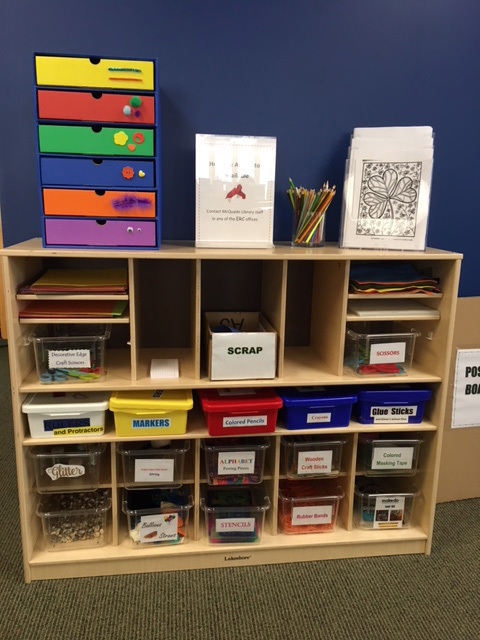 These are just some of the craft items available in the ERC for required projects and fun activities. Check them out!